Who Can Win The Cold War Of Software Patents? You know it already: Google got hit by a software patent (5,893,120). Well, that was the decision of the court at first instance and Google is expected to appeal it, but nevertheless it must have hurt. Not the loss of USD 5 Million which Google can easily reimburse out of its petty cash account. It is about more, far more. According to Florian Mueller of FOSS Patents the decision is highly significant and will put all of Linux into doubt. On the other side there is Dana Blankenhorn who, citing the CTPN decision, disagrees. What Are Software Patents All About? A citation from Van Lindberg’s book Intellectual Property and Open Source provides for a very good answer: Patents are the most expensive and powerful weapons in an IP arsenal. For some companies, particularly pharmaceutical companies, patents are the lifeblood of invention and the key to profitability. For other companies, particularly software companies, patents are the rough equivalent of madly proliferating nuclear weapon arsenal. It is obvious: the current legislative framework in which software companies work and compete, allows the patenting of software-related inventions. As a matter of fact, software companies appear to amass software patents not to market and sell them, but to either drive a competitor out of business or to prevent that their competitors drive them out of business. Having read this, you truly felt the frosty breeze of the Cold War, did you not? Let me even further amplify this feeling: the Nuclear Non-Proliferation Treaty (NPT) signed during that time between the nuclear powers stands a good comparison to the nowadays patent cross-licensing agreements entered into by technology giants such as Microsoft, Apple, HP and Google. it is still vulnerable to non-conventional attacks or asymmetrical threats of non abiding adversaries. Last two decades’ terror acts were a good demonstration thereof. They were not performed by the armed forces of “competing” nations, but rather by decentralised rogue organisations. Likewise, Google’s participation in cross-licensing agreements or patent pools could not hold it harmless from the claims of Bedrock Computer Technologies (BCT). But who or what is BCT? It is not a technology vendor, but a so called non-practicing entity (NPE). 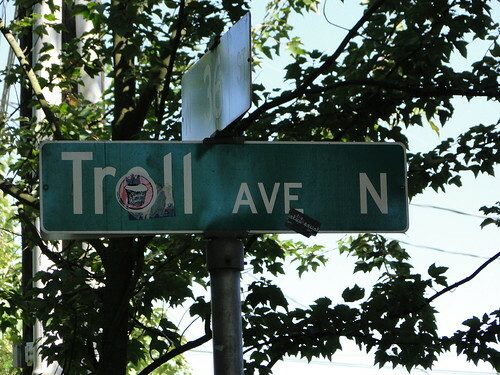 Or a patent troll, if you prefer. Other such trolls that have gained public attention in recent time are NTP, i4i and Acacia. The end of the Cold War was accompanied by the rise of rogue organisations I mentioned above. By the same token, patent infringement proceedings under the involvement of patent trolls emerged in the last couple of years. NPE v RiM, Software Tree (an Acacia affiliate) v Red Hat or i4i v Microsoft, to mention some. Is this a sign that the software patent cold war is over? Well, not really and Nokia’s patent infringement lawsuit against Apple is a good demonstration. Will there be a winner? I strongly doubt it. Something in the sense of the SALT and START treaties which heralded the end of the Cold War. In addition, the economy needs protection against patent trolls whose objective is not to drive innovation but rather the opposite of it. We as individuals and consumers have also a great interest in finding a solution since we pay the price of its procrastination. The US Supreme Court missed its historical opportunity In Re Bilski. Will it err also in i4i v Microsoft?